A raw diet for your cat consists of uncooked meat, bones and organs, which mimics their natural diet in the wild. Cats are predators and obligate carnivores, which means they must eat primarily meat. 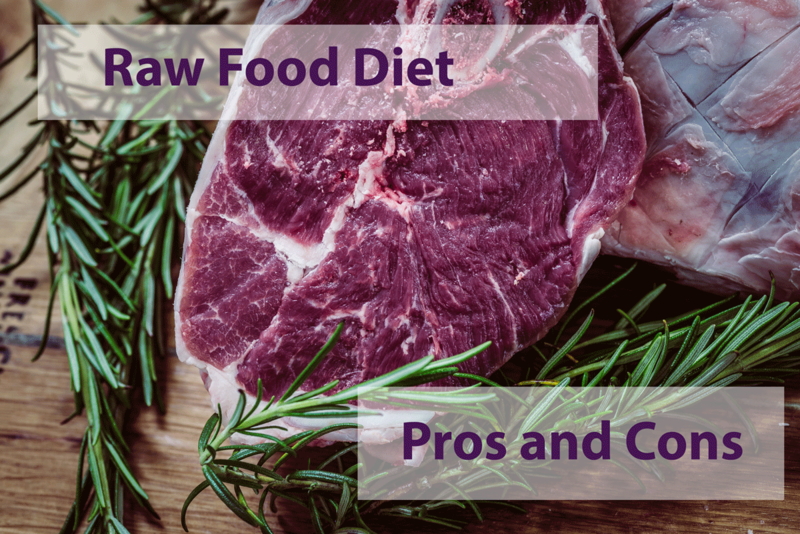 Any Google search on raw food diets for cats will yield a lot of conflicting articles: some claim that a raw food diet is the only way, while others warn you should never attempt a raw food diet. In reality, both are correct in many ways, and each side is outlined below so you can decide if a raw food diet is right for your cat. For the most part, a raw diet is very close to what your cat would have eaten in the wild, and just as humans flourish when they eat a wholesome, unprocessed diet, cats do as well. Conducted between 1932 and 1942 by Francis M. Pottenger Jr., the Pottenger’s Cats Study is one of the most well-known in regards to pet nutrition. 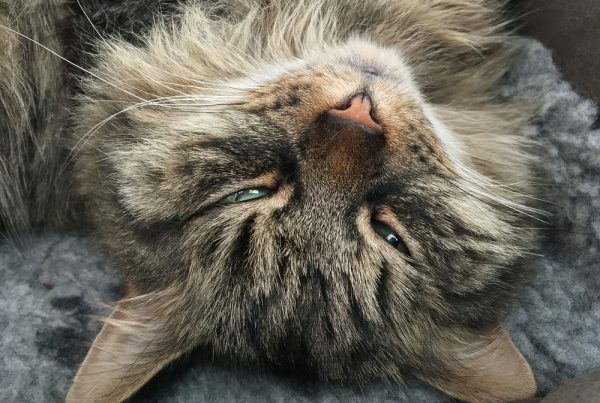 Originally using the cats for their adrenal extract, Pottenger stumbled upon an interesting observation when he began feeding some of the cats meat scraps due to the shortage of cat food. Cats that ate the raw meat scraps consisting of organs, meat and bone seemed to be healthier than the ones fed the original diet of raw milk, cod liver oil, and cooked meat. The kittens of the raw meat diet group were more energetic and had lower rates of death. These cats also had lower rates of degenerative diseases while the cooked meat group started to become sickly and infertile after a few generations. 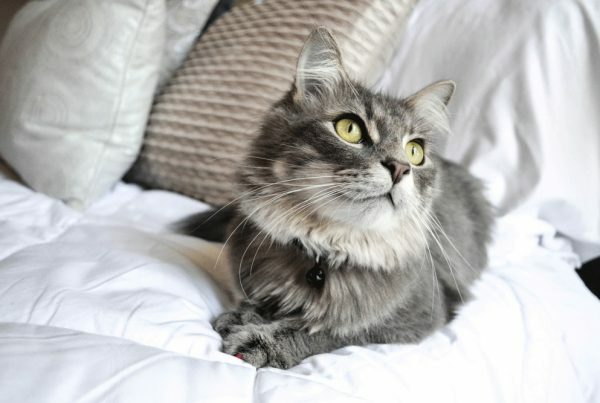 The conclusions of Pottenger’s study and what other cat owners have observed is a well-prepared raw food diet will provide many of the vitamins, minerals, fats and amino acids your cat needs. Their digestive tracts were made to process raw meats, not cooked or plant-based foods. It’s important to note that organs and bone must be included with the meat to provide all the necessary nutrients. Bones in particular deliver crucial amounts of calcium and phosphorous. Cooked meats lose nutrient content and high temperatures denature (change) proteins. Because of the higher nutrient density of raw foods, your cat’s stool will be smaller and have less of an odor. Since raw food diets have almost no carbohydrates, cats are less likely to develop the typical gum diseases from plaque and tartar buildup. Consuming raw bones can also have a cleaning effect by massaging and scraping teeth as the cat is chewing. Raw food diets are exactly what a cat’s digestive system was made to process. While humans use glucose (carbohydrates) for fuel, cats use protein via a process called gluconeogenesis, which essentially means they make glucose from protein. Feeding an almost all protein diet will give them more energy in the form they were designed to have. Lack of excess carbohydrates means they’re less likely to put on weight from the high calories and lethargy. 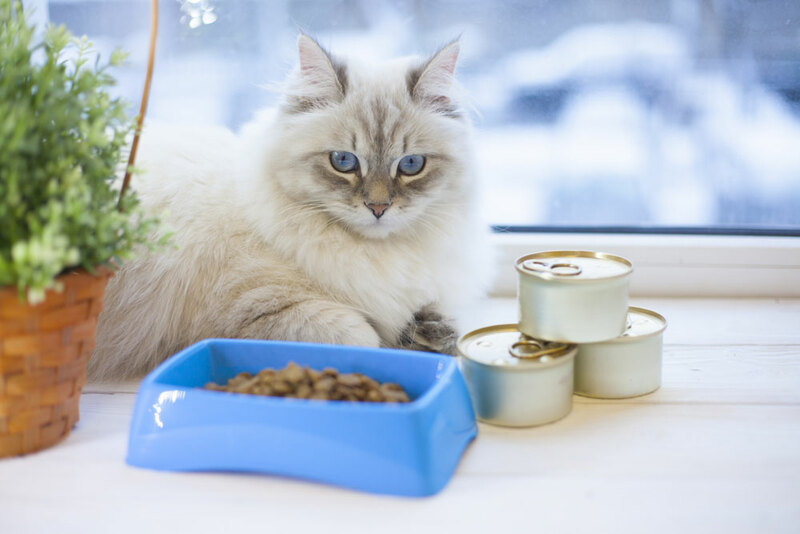 While cats might graze on dry food, they most likely won’t overeat on a raw food diet. If a raw food diet closely mimics what cats eat in the wild, how could there be any pushback? The problem comes in when humans try to replicate that in the home. 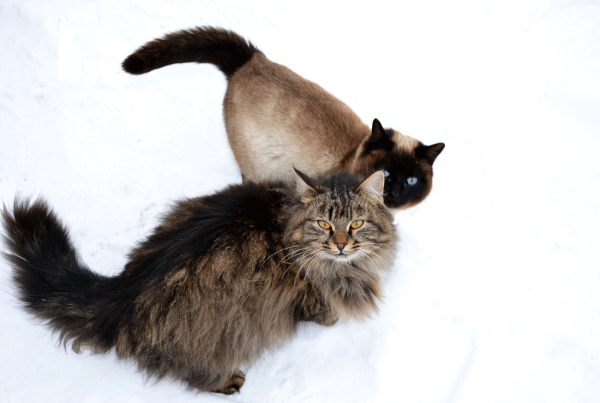 It’s unlikely that you’re actually going to go out and catch the exact wild game your cat would have – mice, birds, small mammals and reptiles. Instead, you’ll be buying meat and bones from the supermarket or a pre-made raw food product which isn’t exactly the type of prey your cat would naturally eat. It’s likely that the animal product you use will not be what cats normally eat in the wild, and it may have a different bone, meat and organ composition than that of wild game. Because meat doesn’t contain all the necessary nutrients it’s important to grind up bone for calcium and organs to obtain other vitamins and minerals. However, the time it takes to seek out and prepare this well-balanced meal is prohibitive and it’s tempting to just settling for cuts of meat at the market. Raw meat has a much higher chance of being contaminated with bacteria or parasites, which cooking normally kills. The quality of the meat is an important factor in this; low quality, factory farmed ground beef has a much higher risk of contamination than organic, grass-fed beef. However, the availability and cost of high quality meat is prohibitive which makes owners more likely to go for the low quality product.